What’s your schools Anti-Bullying Policy? Self Defence is not a hobby, it is a life skill. I was prompted to write this blog today as a result of recent chats with a couple of parents who have just withdrawn their children from our martial arts classes so they can concentrate on other “hobbies”. I’m very open to children getting a wide variety of experiences in different past times and sports but I think as parents we should also be looking to equip our kids with a very important life skill – Self Defence. But what constitutes self defence, well most peoples immediate thought would be physical confrontations, using physical skills to defend yourself, but I believe that 90% of self defence is actually in the mind, attitude and how you conduct yourself. Self Confidence is the biggest skill to defending yourself, knowing that you can defend yourself physically manifests within the martial artist as self confidence but the discipline and respect tied into formal training is what stops that person crossing the line and using their skills in anger. I get very dissappointed when I hear Martial Arts and Self Defence being lumped into the bracket of hobbies along with Street Dance, Choir Practice, Golf, Rugby, Cricket etc. Now I love all of these things, perhaps not Choir as I’m not religious and not street dance as I look like a Lizard standing up right receiving electric shocks when I dance. 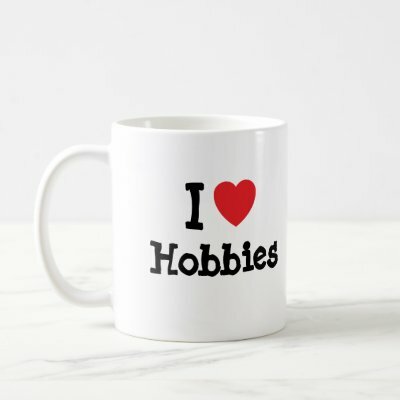 But each of these “hobbies” have their place and are great for our kids, the level of choice kids have nowadays is amazing, certainly more than when I was growing up. But I want to urge all parents, let them have their hobbies but insist they learn the life skill of self defence. If I were in charge of the national curriculm, I would make it part of school life. If your kids don’t want to go to school, do you let them stay at home or make them go?? You make them go. But why? Because school is important for their future, for their lives! Self defence cannot be a hobby that can be picked up and dropped, it should be a life skill, it should be the one or two days per week that we as parents say no, your’re going to class, the other three days are for your hobbies. Leading education lawyers and charities are calling for a change in the law to protect vulnerable young people from extreme bullying in England and Wales. Head teachers are not being held accountable for violent and abusive pupils and anti-bullying guidelines should be strengthened, they claim. The Childrens Legal Centre said more parents had been seeking legal advice. But the National Association of Head Teachers (NAHT) said hyper-accountability already existed. England Schools Minister Vernon Coaker said the governments measures were working, but recognised procedures for parents needed to be strengthened. He said a bill to address this was already in parliament. The call comes after the Westminster government launched a campaign to help tackle bullying against children with special needs. Mike Charles, an education lawyer, said schools are too often trying to avoid responsibility. Im seeing a rise in the number of people turning to the law, heads are not being held accountable, he said. He wants heads to be forced to report and act on all cases of bullying, and an independent adjudicator to access every school. In a BBC Breakfast News report Debbie (name changed to protect her children) said she had no choice but to consider legal action against the school her two teenage children used to attend. She claims teachers stood by and watched as her son was attacked  in front of her  by about 40 other pupils. They had these temporary metal road signs the triangular ones and they just attacked him with it, beating him. Watching your kids being persecuted for no reason  its heartbreaking, she said. She says her children have been kept out of class for nearly a year because of physical and emotional bullying by other pupils. The school says Debbies childs special needs were behind many of the problems, and any bullying took place outside the school. Alison Fiddy, from the Childrens Legal Centre, backed the call to stress the responsibility of head teachers. We need to see heads being held accountable, she said. But Mick Brookes, general secretary of the NAHT, said head teachers were already held to account in a number of different ways and hyper-accountability [is] out there already. Mr Coaker said: There is a bill before parliament at the current time which will allow those procedures to be strengthened in the small number of cases where things havent worked. That will allow parents to go to the local government ombudsman, he added. The National Bullying Helpline has called for a new code of practice for schools, similar to one used in the workplace by the Advisory, Conciliation and Arbitration Service (Acas). The helplines chief executive Christine Pratt said she wanted outsiders brought in to schools to investigate bullying claims and take pressure away from parents. We believe teachers are not necessarily the right person or individual to address a complaint from a parent, she said. I think my child is bullying others – what should I do? I found this great article by a site called http://www.education.com/reference/article/my-child-is-a-bully/ and thought everyone should read it. Typically its in the US because they always seem to be one step ahead of the rest of the world when it comes to things like this, nevertheless it’s well worth reading. Your gut instinct is right; bullying must be taken seriously. There can be serious short- and long-term consequences for everyone involved, not just the victim of bullying. Children who bully and continue this behavior as adults have greater difficulty developing and maintaining positive relationships. How are things going at school and at home? A defiant or hostile attitude (easily takes offense). Schedule an appointment to talk with school staff such as your childs teacher(s) and the school counselor. School staff that work with your child every day may be able to help you understand why your child is bullying and provide you with some tools to work with your child. Explain to your child that this kind of behavior is unacceptable. Stop any show of aggression you see, and talk about other ways your child can deal with the situation. Establish appropriate consequences for her actions such as taking away privileges and allowing your child to earn them back with appropriate behavior. Examine behavior and interactions in your own home. Is there something at home that is encouraging this type of behavior such as violent media of some kind in the form of video games, television or movies? Are there interactions that may lower your childs self-esteem such as constant teasing or taunting by a sibling? When you discipline your child, are you focusing on how the behavior is unacceptable rather than your child? Talk with your child about who his friends are and what they do together. Peers can be very influential, especially for teens. If your child is hanging around with kids who bully and encourage bullying behavior, you may want talk with him about getting involved in activities that will help him make other friends. Talk with the parents of your childs peers about bullying. Discuss your concerns and what you can do together to change the behavior of your children. Model respect, kindness and empathy. You are your childs role model and she will learn to treat others with respect by watching you. Consider talking to your childs pediatrician about your childs behavior. They may have some tips and they may be able to refer you to a mental health clinician that will be helpful in understanding and resolving the problem. Be realistic. Your childs behavior will not change over night. When you are talking with your child, try to focus on how the behavior is unacceptable, not your child, and show your support for your child with praise for appropriate behavior. Continue to work and communicate with school staff as long as it takes. They should be your allies; working with you to not only put an end to your childs bullying, but also to prevent any bullying in the school. Some young people dont know how to respond to being teased and bullied and show the embarrassment and anger on their faces. This is what bullies and teasers want! They want to SEE it bother you! Once they see it bother you they will do it again and again to see the same reaction over and over again. HOW CHILDREN CAN OVERCOME CHALLENGING SITUATIONS THROUGHOUT THEIR LIVES. Sadly there are often times when our children lack sufficient positive role models in and outside of school. This leaves the door wide open for influences that may not be compatible with the views and values you hold dear or want to pass on to your kids.